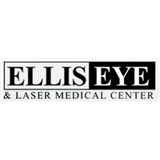 Ellis Eye & Laser Medical Center (Walnut Creek) - Book Appointment Online! Dr William Ellis is a Lasik specialist who performs free diagnosis for "LASIK" LASER VISION CORRECTION, CARNOSIDAD AND CATARACT procedures. (Saturday appointments are not available for general eye exams) One of California’s most experienced LASIK surgeons, Dr. William Ellis has performed over 68,000 procedures with the most advanced LASIK technology and uses the safest bladeless LASIK technology. Ellis Eye & Laser Medical Center’s six Northern California locations provide quality, caring refractive vision correction services to patients desiring to possibly free themselves from glasses & contact lenses. If you require LASIK for myopia (nearsightedness), astigmatism, or hyperopia (farsightedness), monovision Lasik, Cataract or Pterygium surgery. Board certified Dr William Ellis welcomes you. This practice sees patients at 7 locations.